MILWAUKEE -- A touching tribute on Milwaukee’s north side Saturday afternoon. It's been a year since Emani Robinson was killed in crossfire near 39th and Center. The 16-year-old was walking someone to the a convenience store when he was shot. The Center Street Community was able to take a moment to honor his life as the city officially proclaimed June 30, 2018 Emani Robinson Day. It was a very humbling and healing moment for Emani Robinson’s mother Latosha Davis -- she didn’t know the proclamation was happening. The Center Street Community is making sure his memory isn’t forgotten. 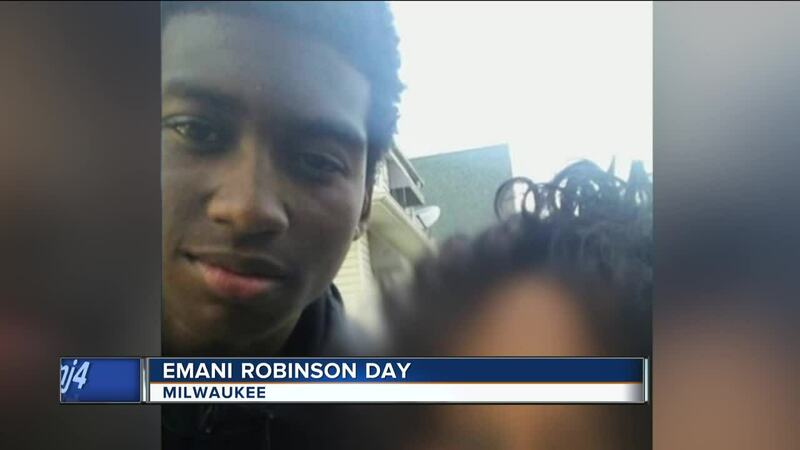 “We want to honor the life of Emani Robinson,” David Muhammed said with the office of Violence Prevention. Tomaz Robinson, 29, has been charged in connection with Emani’s death. He’s due in court on July 5th. “It’s been up and down, heartbreaking, so heartbreaking. We’re just trying to move forward and try to stay strong because that’s exactly what Emani wanted us to do, I know it,” Davis said.